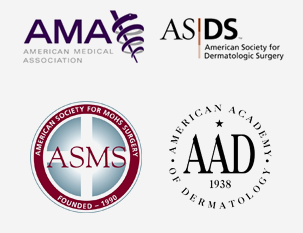 Nobody performs more surgical procedures on the skin than dermatologists. Nobody. Evaluation of the tumor.All dermatologists are trained as skin pathologists. As such, we are in a unique position to determine the best treatment options for you given the location, type, and subtype, of your tumor. We often review your pathology slides if we did not perform the diagnostic biopsy in-house.In contrast to many other practices, all Clarus dermatologists personally review each of their pathology specimens to ensure agreement with the outside pathologist’s assessment. This allows for superior “clinico-pathologic correlation” which leads to better outcomes for you. For example, often skin cancer can be treated by more conservative treatment strategies after review of the tumor itself. Evaluation of the patient. Before we choose the answers, we ask the questions. We put the particulars of your skin cancer into the context of your overall goals. How will your other medical conditions influence the healing process? Does your family history play a role? Are you healthy enough to undergo a major surgery with reconstruction? These are some of the questions that your dermatologist will consider when discussing treatment options with you. Evaluation of your options. Although aggressive types of skin cancer surgery, like Mohs surgery, can be considered for many tumors, they often are not aligned with the patient’s care goals. We work with you to ensure that our recommendations respect your wishes. Completion of care. Once we have evaluated the tumor, the patient and his/her care goals we can proceed with treatment. Throughout this step you will be in the hands of an expertly trained, board-certified dermatologist and the entire Clarus care team. Skin cancer is the most common form of cancer in humans, and develops in the cells of the skin. The three main types of skin cancer are Basal Cell Carcinoma, Squamous Cell Carcinoma, and Melanoma. Basal cell carcinoma is the most common, and least dangerous type of skin cancer. Basal cell carcinoma typically appears as a small, shiny raised bump on the skin, which may be reddish in color. It may also appear as a rough, red patch on the skin, like eczema, or it may look like thick, raised scar tissue that is firm to the touch. Basal cell carcinoma develops in the basal cells - small, round cells in the base of the epidermis. It is most often found on areas of the body that have been exposed to the sun, especially the head, face, and neck. Those with fair skin, a history of sun exposure, and a history of this cancer at at higher risk. This cancer may grow and spread to surrounding skin tissue, but usually does not spread to other parts of the body, and it is rarely life-threatening. Squamous cell carcinoma is the second most common type of skin cancer, and typically appears as a small, firm red bump on the skin. As this bump slowly grows and enlarges, an ulcerated lesion may form in the center. The bump may become scaly and crusty and may bleed. Squamous cell carcinoma develops in the squamous cells (thin, flat cells in the epidermis), the lining of the hollow organs of the body, and in the respiratory and digestive tracts. This cancer frequently, but not always, occurs on sun-exposed areas of the body. Those with fair skin, a history of sun exposure, and a history of this cancer at at higher risk. Without treatment, this cancer can spread to the lymph nodes and organs, and can be life-threatening. Melanoma is the most serious type of skin cancer, and can be fatal if not treated in its early stages. A melanoma often begins as a mole - cells within the mole begin to mutate and grow, which can cause changes in the mole's color, size, shape or feel. Most melanomas appear black or dark blue in color, but they may also have an uneven tone with areas of white, red, pink, grey, or other colors. Melanomas may be irregularly-shaped and have ragged edges, with pigmented areas spreading to the surrounding skin. Melanoma develops in the melanocytes, the skin's pigment-producing cells. People with numerous moles, and irregularly-shaped moles, are at increased risk. Other risk factors include fair skin, a family history of melanoma, a weakened immune system, severe sunburn, and regular sun exposure. With early treatment, melanoma is almost always curable. Without early treatment, it can spread to other tissues and organs, and can be life-threatening. Treatment may include techniques that kill or remove the cancer cells, including excision, cryosurgery, radiation therapy, and laser surgery. Biological therapies, lotions, and creams may also be administered. Treatment options for melanomas may include surgical removal of tissue, chemotherapy, radiation therapy, and biologic therapy. Treatment options vary depending on the stage of the cancer. 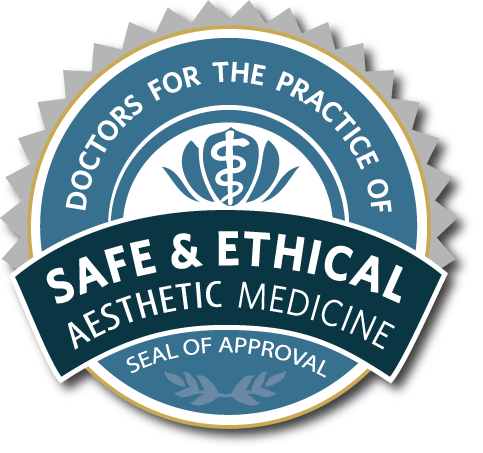 Your pre-operative clinic visit ensures that our dermatologists have all of the information they need regarding your skin cancer, your medical history and your treatment goals to schedule the appropriate surgical procedure. It will also give you a chance to ask questions you might have about your condition and your treatment plan. While it’s not always easy to do when dealing with the time before a surgery, our best advice is simple: in a word: relax. In many cases, you will not need to make major changes during this time, but may have just a few simple instructions that you will need to follow in the hours just before your procedure. Generally, most medications can be safely continued through your surgery, including blood thinners such as coumadin and aspirin. Refer to our detailed pre-operative instructions online for the procedure you’ll be having, or in the letter you received in the mail. Surgical complications do occur, but we are there for you 24/7. You will receive your surgeon’s cell-phone number at the time of surgery. We are there for you to ensure your post-operative course is as smooth as possible. This outpatient procedure is used to remove and examine tumors of the skin to ensure that the entire cancer is eliminated and none of the "roots" of the cancer are left behind. The Mohs technique is often used to treat cancers of the face and neck. Mohs surgery is a conservative treatment designed to leave as much healthy tissue as possible, while eliminating the cancerous cells completely. It is often the surgery of choice for patients who have recurrent, aggressive, or unusual tumors, or for patients who have tumors in highly sensitive areas. The skin is first sterilized and local anesthetic is administered. The dermatologist then carefully cuts away the section of tissue that contains the cancer. The surgeon charts the way it was oriented in the skin so that the cancer can be accurately mapped. The wound is dressed, and the patient waits while the tissue sample is examined in the lab. The tissue is divided into sections, then frozen and studied under a microscope. The dermatologist looks for any traces of cancer that extend beyond the section of skin that was removed. If the dermatologist sees that traces of cancer may remain, the procedure is repeated until no traces are detected. The wound is uncovered, and additional tissue is removed from the questionable area. The new sample is examined microscopically, and the process is repeated until the dermatologist is sure that all of the cancer has been removed. Once the removal is complete, the surgical site is closed. In some cases, a plastic surgeon or reconstructive specialist may be needed to finish the procedure. The patient is monitored during future visits.